US equity indexes closed moderately higher, sp +22pts at 2832. The two leaders - Trans/R2K, both settled higher by around 0.5%. 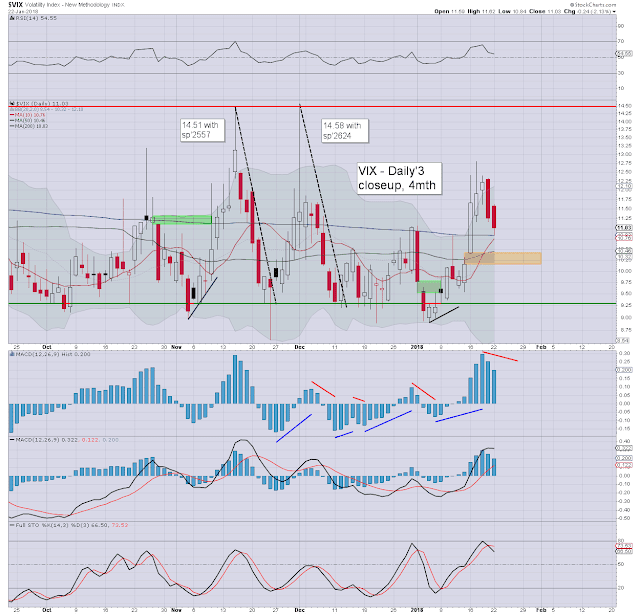 VIX settled -4.6% at 11.05. 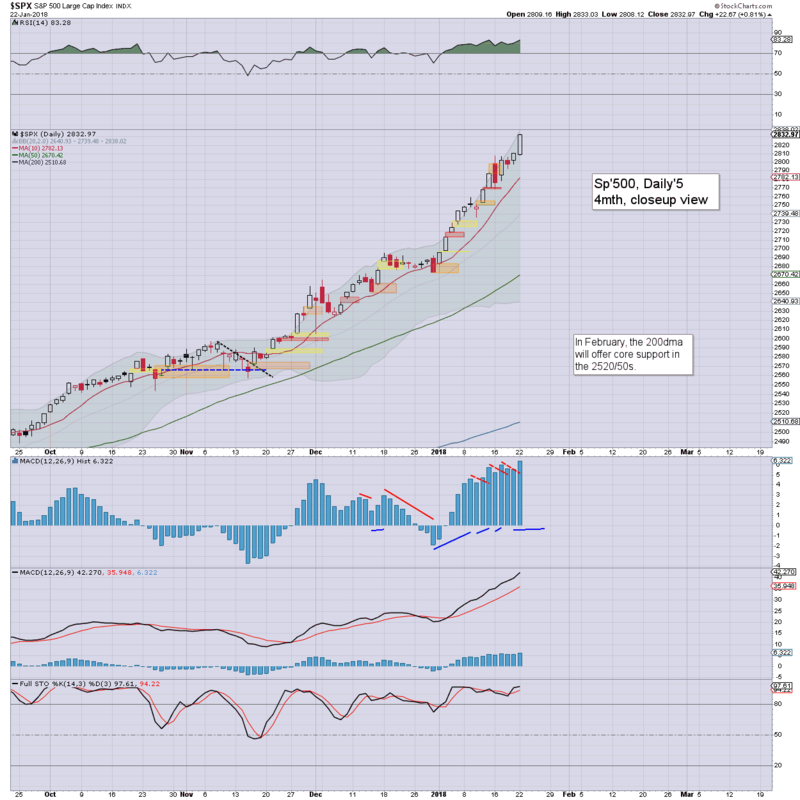 Near term outlook offers the 2850/60s. 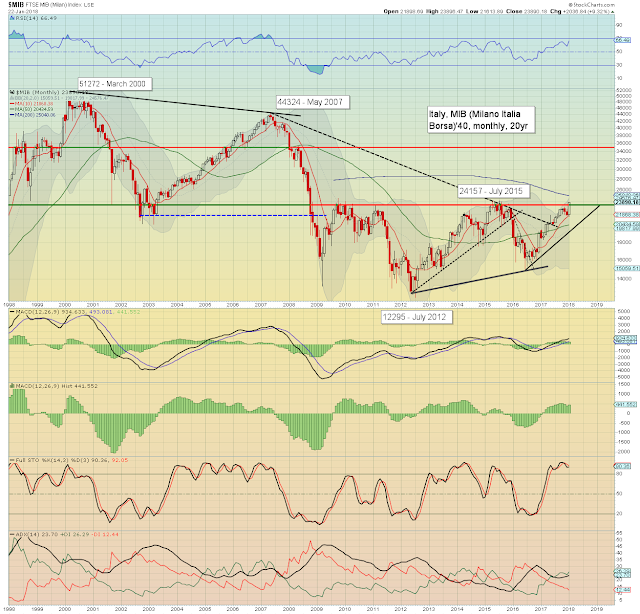 More broadly, first big target is 2950/3047, where the market will get stuck. US equities opened fractionally mixed, but then leaned upward, and built moderate gains into the afternoon. There was a quintet of new index highs, with only the Transports missing out. Volatility was naturally subdued, with the VIX settling in the low 11s. The MIB is currently +9.3% at 23890. 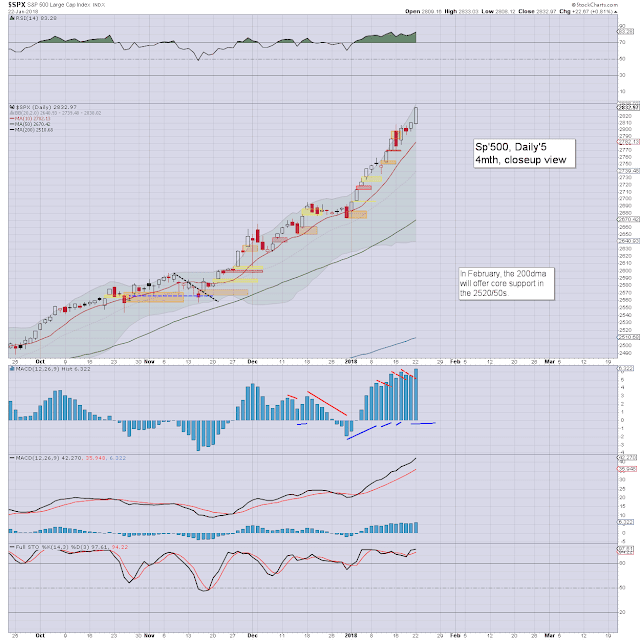 A decisive monthly close >24k is due, and that will open the door to grander upside to (at least) 35k by mid 2019. Implications for other world markets. I'd also refer anyone to the Russian or Chinese markets.